May I ask,please, for one more request? Do you remember the very detailed Popeye The Sailor Man you created? would I be able to retrieve the artwork for "Christmas in July"? You can right click on the avatar and save as ... then save it on your desktop or any folder you choose. Then you will always have it. I also keep them on my hard drive and in my photobucket account. So you will be able to retrieve it whenever you want, in many ways! I'll see what I can do with popeye. I assume you just want theone I made with the hearts coming out of the pipe as a graphic, not an avatar. Heart rings instead of smoke rings? May I use it please? I need to visit the archives on how to fit Popeye into that square. What fun you put into Popeye. What until the Monkey's see your new work. Thanks for walking me through how to save the Christmas Seahorse and traveling little monkey in the Santa hat. Seahorse, you want to use it as an avatar? Or just use it in your posts? If you want to use it as an avatar (is that what you mean by "fit it into that square"?) let me know so I can adapt it for use as an avatar. If you just want to use it in posts, feel free to do so! Well, I just had to play with it a little more. Added a "Teddy-Bear" (can't you just hear him sing that?) ...with birthday balloons. I found me! I guess I didn't recognize QM in a coffee mug (which I love btw). I think I like the 3rd best, but is it possible to make the cup smaller & QM a little bigger? If there is room put "QM" in there, or on the mug?? I feel bad asking you to change it at all. If you can't change anything that is ok too, I'll take him that way too! 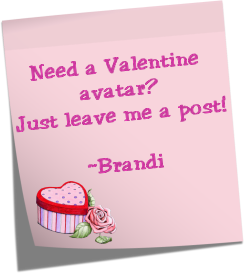 Thanks Brandi, you are the coolest most creative Monkey I know (I do like CBB's avi's too), but you do my QM well! The way I see it, if the mug is smaller, you won't fit in it. I can add QM initials, if you like. Let me see what I can do. I will have to start from scratch so it may take a while. I'll post what I come up with. Aw, Brandi, I see what you're saying. Of course I should know better than that. Maybe take QM out and put mug next to him? Or something like that? If not, please don't worry cause I don't want you to have to start over. Brandi, I will use him for now. Please don't worry if you can't take QM out of the mug or do anything that way. Did you forget that QM has no body? No legs? You are seeing all of his body in those mug shots. LOL Mug shots! Anyway, I am working on shortening the mug so there is less mug, more QM, in a way. Page created in 6.412 seconds with 19 queries.